LAUSANNE — Iran and six world powers agreed on Thursday on the framework of a potentially historic deal aimed at curbing Tehran's nuclear drive, marking a major breakthrough in a 12-year stand-off after marathon talks in Switzerland. The framework, agreed between Iran and the West – which has long feared Tehran wants to build a nuclear bomb – raised hopes the deal could help stability in the Middle East. But Iran's arch-foe Israel said it would increase the risks of nuclear proliferation and of "a horrific war", with Israeli Prime Minister Benjamin Netanyahu telling Obama the deal "would not block Iran's path to the bomb. It would pave it", according to an Israeli spokesman. The main outlines agreed after eight days of talks that sometimes went through the night in the Swiss city of Lausanne now have to be finalised in a highly complex agreement by June 30. Failure may set the United States and Israel on a road to military action to thwart Iran's nuclear drive and keep Tehran out in the cold on the international stage. US Secretary of State John Kerry hailed a "big day", while Iranian President Hassan Rouhani said the drafting of a full accord would begin immediately with the aim of completing it by the June 30 deadline. 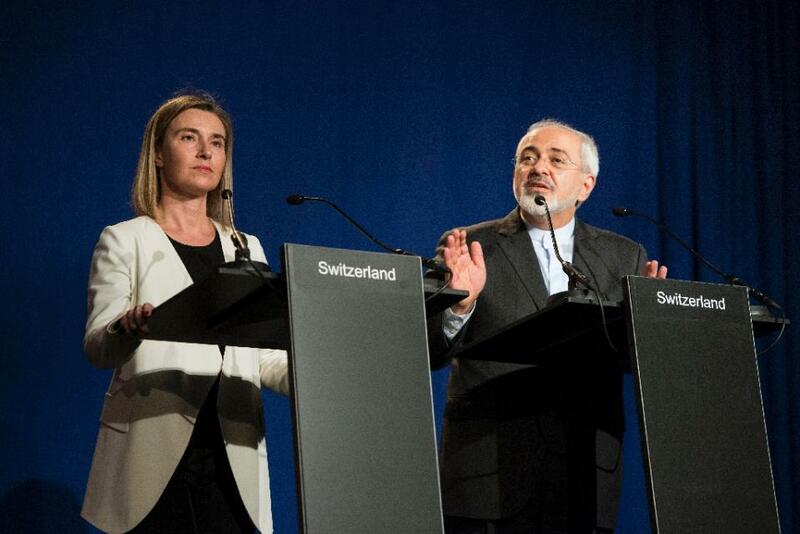 EU foreign policy chief Federica Mogherini said the US and the EU will lift all nuclear-related sanctions on Iran once the UN atomic agency has verified that Tehran has stuck to the ground-breaking deal. And the US said all past UN nuclear resolutions on Iran would also be lifted. Kerry said Iran's stocks of highly enriched uranium will be cut by 98 per cent for 15 years, while its unfinished Arak reactor will not produce weapons-grade plutonium. The Fordo facility, built deep into a mountain, will remain open, however will not be used for enrichment but for research and development. The deal will also see Iran reduce by roughly two-thirds – to 6,104 from around 19,000 – the number of uranium centrifuges, which can make fuel for nuclear power but also the core of a nuclear bomb. France, which has taken a hawkish line during the negotiations, warned that sanctions could be reimposed if Tehran does not fully keep its side of the bargain. "Sanctions that are lifted can be reimposed if the deal is not applied," President Francois Hollande's office said in a statement, adding that Paris would watch closely to ensure a "credible" and "verifiable" final agreement that prevents Iran from developing a nuclear weapon. German Chancellor Angela Merkel said the international community had never "been so close to an agreement preventing Iran from having nuclear weapons." Russia, which built Iran's nuclear power plant, hailed the deal as a recognition of Tehran's "unconditional right" to pursue a civilian nuclear programme. "A comprehensive, negotiated solution to the Iranian nuclear issue will contribute to peace and stability in the region and enable all countries to cooperate urgently to deal with the many serious security challenges they face," UN chief Ban Ki-moon said in a statement. The Russian foreign ministry also said the framework deal would have "a positive impact" on the security situation in the Middle East.